Make sure the Panopto Recorder is not open on your computer. Browse to original college Canvas site and pull up the course you want to use this session in. Click the Panopto Recordings tool in that course. At the top, click Create > Record a Session > Launch Recorder. This will open the Panopto recorder connected to original college's Panopto server. Click the 'Manage Recordings' tab at the top of the software. In the Uploaded Recordings section, you should see the sessions, select the ones that you want to copy. Next to it you will see the 'Set Offline' button. This WILL NOT take the session off of Shoreline's site, but it will allow you to re-upload it to the Shoreline server. Next click 'Upload to Server' and you can upload it to your Shoreline course. Browse to Shoreline Canvas site and pull up the course you want to use this session in. This will open the Panopto recorder connected to Shoreline's Panopto server. Next to it you will see the 'Set Offline' button.  This WILL NOT take the session off of Shoreline's site, but it will allow you to re-upload it to the other SBCTC college server. Next click 'Upload to Server' and you can upload it to your other SBCTC course.